We realize that simplicity and elegance are keys for certain projects, especially when your designs require a minimalist approach to be successful, and that’s why we’re presenting this simple letterhead mockup provided by Graphic Pear. 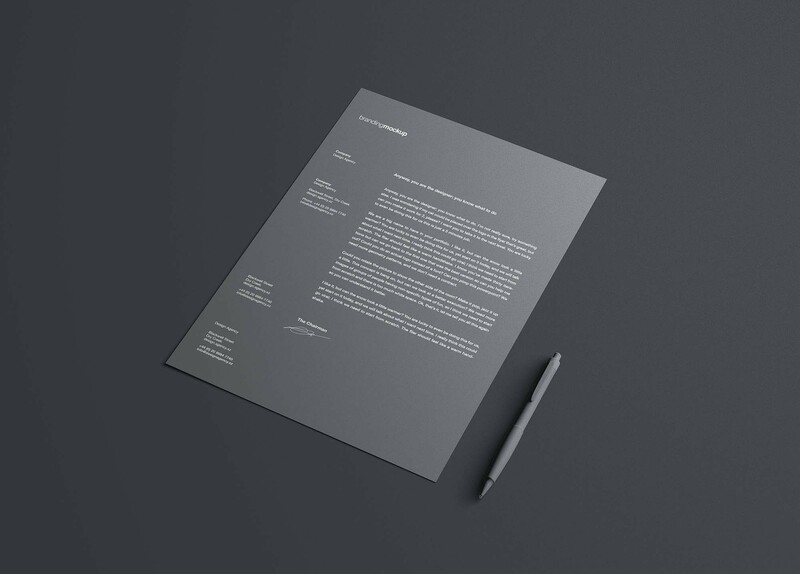 Just like the name tells you, the mockup showcases one simple letterhead set next to a pen for a professional representation suitable for your branding projects. Via Adobe Photoshop, you’ll be able to insert your graphics with fonts of your choosing using the smart object layers, and since they’re organized, you won’t be facing any trouble whatsoever; nevertheless, whenever you need some tips to get you going, check out the help file included with the freebie. Thanks to the high-resolution (5300 x 3800 pixels/ 300 dpi), you will always be able to share with your clients and viewers high-quality results that get you the praise you deserve for your hard work.